If you are a business owner, the word vacation is probably not a part of your everyday vocabulary. Owning and operating a business takes all of your attention, all of the time. However, it does not have to be that way. The first tip you will find when researching how to improve productivity is to take a vacation! 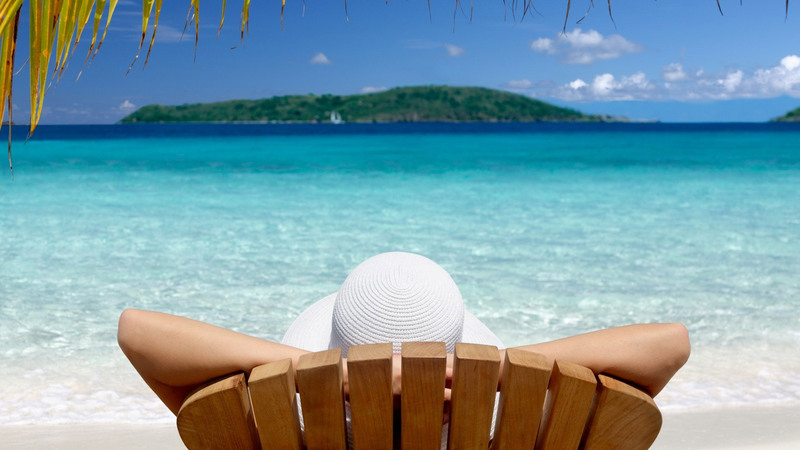 If you want to give vacation meaning again as a business owner, find out how to plan a vacation that you can deduct as a business expense in this post. First, you should realize just how few American workers actually use their designated vacation time, and the negative impacts this can have on productivity and efficiency. The average American does not use 8.1 designated vacation days within a year. Over eight days left unused that workers could be paid to enjoy themselves! Studies show that workers are the most productive and efficient after they come back from a vacation. The same is, of course, true for business owners! Take some time off, your business will thank you for it, and it will have no impact on your direct expenses. The first step to ensure that you can deduct your vacation as business expense is to plan business appointments that require your in-person presence first and foremost. Then, you can build your travel and leisure plans around these meetings. For example, you may choose to have a meeting on Friday, and then have another meeting scheduled for Monday. This allows you two whole days to yourself for leisure and enjoyment. Be sure to book your business appointments first before arranging any other travel details. If you want to be able to deduct your vacation as a business expense, you need to spend a majority of the time working. That means that if you have a meeting two days but then have five days scheduled for enjoyment, this will not be deductible. Instead, remember to keep a good ratio of working days to relaxation and enjoyment days. If you plan a five day trip, make sure at least three of those days are spend productively. Keeping a good ratio will ensure that you can write off your trip as a business expense. If you have a family and would like to bring them along on your business vacation, this is entirely possible. Just be sure to keep detailed records of your expenses. Your hotel room can still be deducted, except for the multiple occupant charges, and so can your travel if you are able to drive to your location. You will also still be able to deduct meals as a business expense, but only 50% of the bill, and only if you are working during the meal. Make sure to get separate receipts if your family accompanies you. Bringing your family along will not disqualify you from being able to deduct expenses for your business, just be sure to keep these important considerations in mind, especially if you want to make a Cuba business trip. The term working vacation, or working holiday, refers to a trip, either domestic or international, on which you work or conduct business. The working vacation meaning, however, does not indicate the rising trend of the use of the word. Since the word has existed, its usage was relatively low. That is, until the 1980s when its usage exploded. Clearly, giving your vacation meaning by working throughout the trip is something that you have to do if you want to remain competitive. After all, that is what the data suggests; and obviously you want to stay ahead of the business competition. If you want to give vacation meaning again as a small business owner, just plan a business trip with some extra time allotted for enjoyment. This is especially easy if you own an import export business. Use the tips listed above to take a vacation that you can write off as a business expense. You deserve a break, and your business will be better off with a more productive, efficient owner after some relaxation time. Keep this post in mind the next time you are wondering how to deduct a vacation as a business expense.